One of the areas that I monitor closely is the progression/adoption of geo-location services such as foursquare, gowalla, yelp, loopt, buzz and dream walk mobile. Geo-location services have been around for the past 4 years but are now gaining critical mass fueled by smart phone adoption and media attention around events such as SXSW 2010. 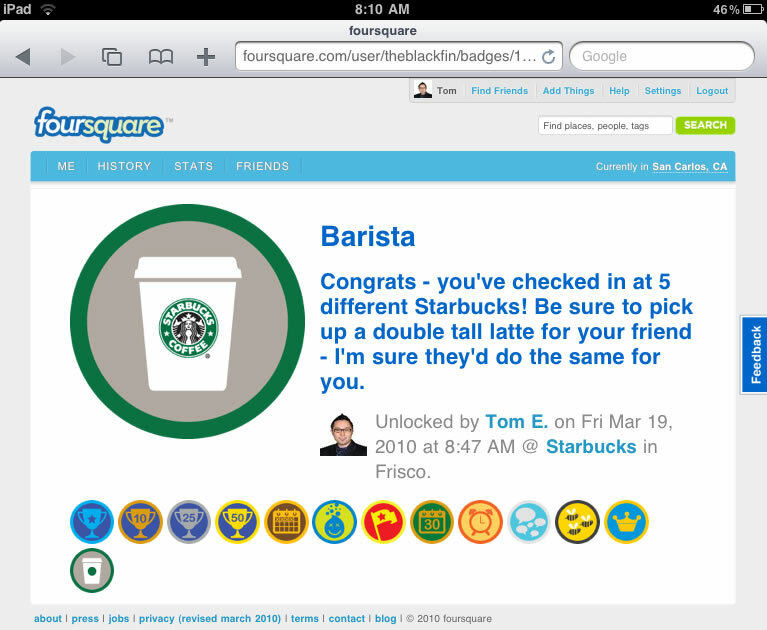 For this post I will focus primarily on the service based game foursquare and will follow up soon with a Gowalla post. For those of you who are not addicted to checking in to every location you frequent here is the 101 version of the foursquare service and why marketers & businesses alike should pay attention. The opportunity tied to geo-location based services such as foursquare from both an agency/marketing perspective as well as a local business perspective are enormous. Local business can gain access to customer insights tied to geotagging, local search & location based analytics which can drive adoption on the local level well beyond that of the standard digital campaign. The service can become an extension of activities that you are already engaged with as part of your everyday routine. 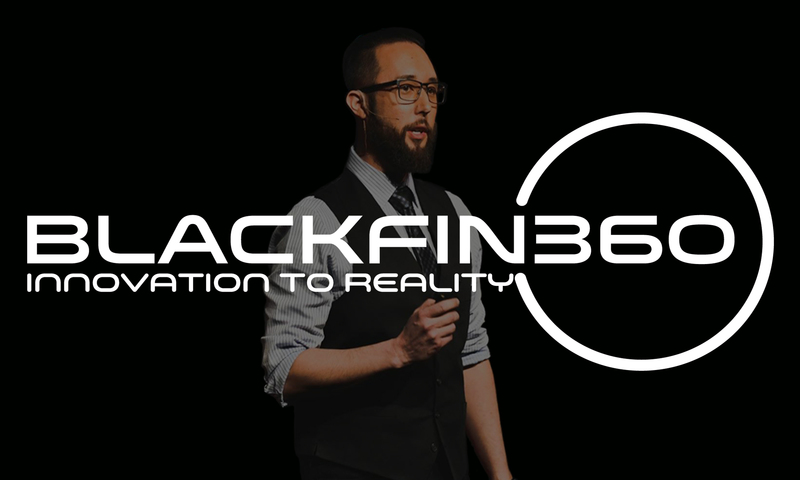 This presents a new opportunity to interact with consumers wherever they may roam. Foursquare as a service is available anywhere in the world. Meaning both domestic and international campaigns can be supported. To get the full experience (Friend interaction, leaderboards, etc…) foursquare requires an iPhone, Blackberry, Android, or Palm Pre. For those whose immediate response is to point to smart phone adoption rates note that other options to engage exist including a mobile web option as well as an SMS check in option if you text to 50500 (e.g. 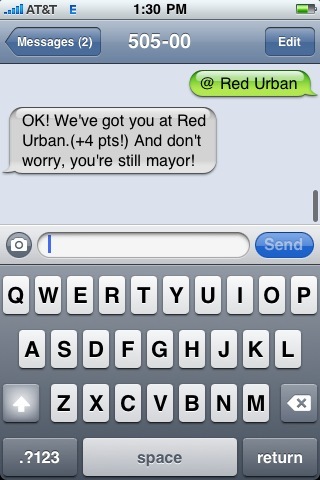 @Red Urban ! typing a blog post). SMS checkins are only available in the US. Geo-location services are driven by the concept of geotagging and takes advantage of the GPS technology that resides in your device. This in turn provides a means to digitally “tag” and interact with a physical location you just visited. E.g. Pull into your local Starbucks, pull out your iPhone/android phone, initiate the app, select/create the location and click “check in”. Once checked in you can then interact with the location by writing a review (tips in foursquare) or you may be presented with a special offer. With foursquare the primary premise is around rewarding users with three different merit systems. Mayors, Badges and Points. From a brick & mortar business perspective this is a great service to be mindful of as you can begin to gain insight and influence behavior as well as monitor customer service. Instead of a local ad buy or in addition to it why not promote offers within a radius of your location or serve them directly to your customers as they enter your location. 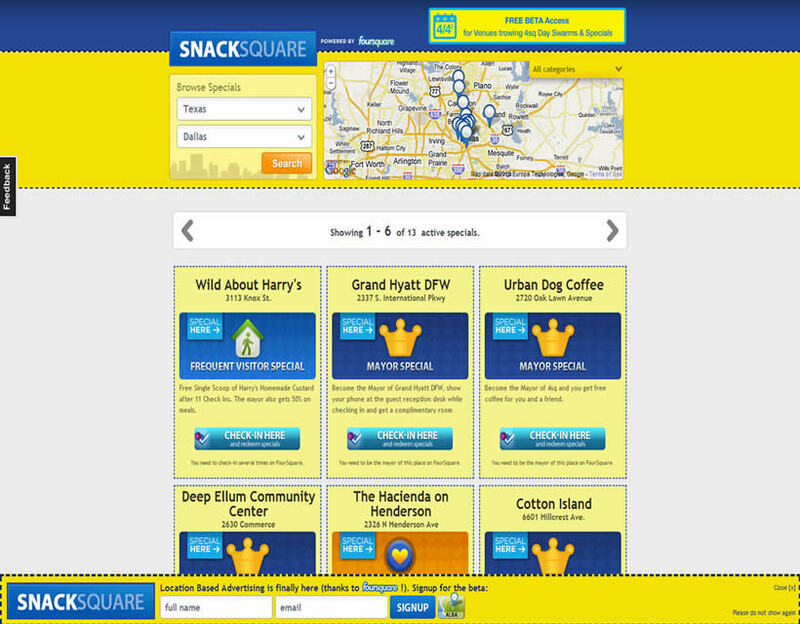 One additional service of benefit to businesses and users of foursquare is snacksquare. Snacksquare which is powered by foursquare and is a location-based advertising provider that facilitates local businesses automatically delivering SMS text messages to potential customers that check in near a venue (proximity service). The site also allows end consumers to find the best deals ahead of time vs. just being notified via check in. This framework + the business analytics begins to form a more complete package for marketers & businesses alike. 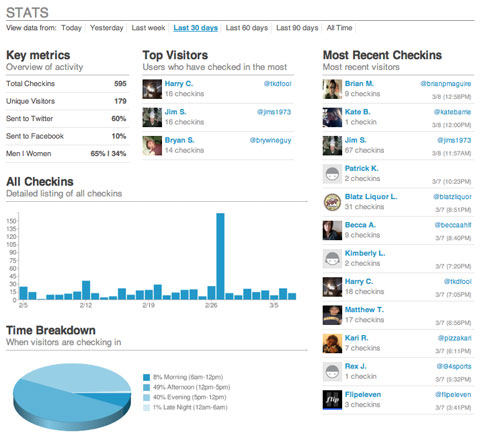 For more information on Snacksquare here is a recent Mashable article. With additional focus being paid to geo-location by the big players such as Facebook, Google, Twitter, etc… It is natural evolution that foursquare is focused on extending APIs and integration as their valuation (recently 100 million) continues to sky-rocket. 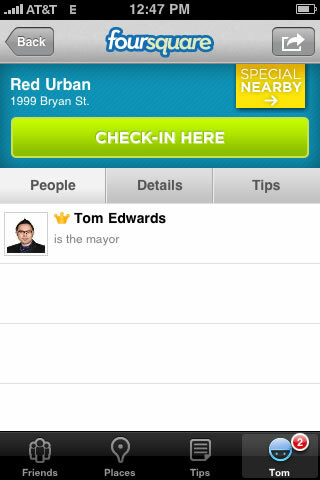 Nice summary of Foursquare Tom. Now if Starbucks would just figure out how to reward heavy users of a single store via a cool badge or gift, I would be in heaven. 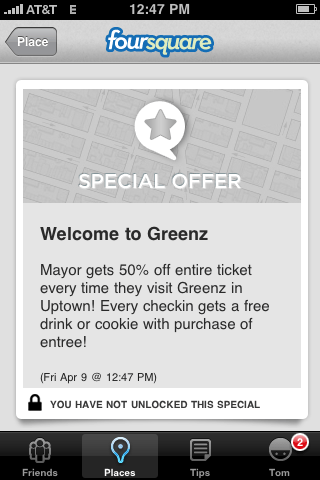 I have a solid lock on the Mayorships of stores at both ends of my commute! I’m still not sure how I can utilize foursquare as an insulation company. I have a specific area that my business targets but I don’t have a set location that I do business. Any tips I can get on how to use foursquare for my business are much appreciated. It’s always tough to focus on foursquare when your business does not have a home base location that business has to be done at.